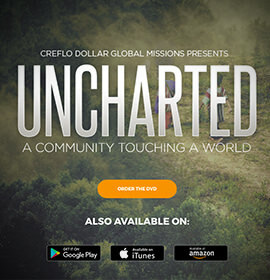 Creflo Dollar Global Missions is the outreach extension of Creflo Dollar Ministries. 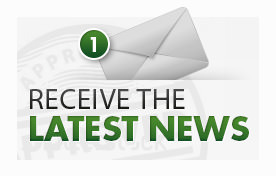 It was designed to expand the impact we have around the world. Our mission is to “Go where no one else will go and do what no one else will do” - assisting with the practical needs of, and ministering the Gospel of Grace with simplicity and understanding, to the Fatherless, The Widow and The Stranger. In doing so, they will be able to understand grace and be empowered to change. 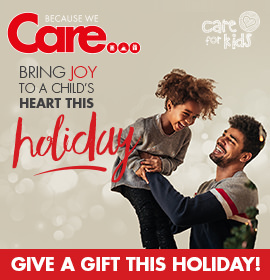 Care for Kids - where we address the physical, educational, emotional and spiritual needs of some of the most vulnerable children around the world. From South Africa to Thailand, we have been able to provide meals, shoes and clothing, medical attention and supplies, hygiene kits and personal education. Hope in Disaster - which is dedicated to serving the needs of international- and domestic communities devastated by natural disasters. Alongside our on-the-ground partners, in both Nepal and Haiti, we have supported those affected by providing them with immediate basic needs such as shelter, clothes, toiletries and food. Project Virtue - which supports Pastor Taffi’s heart to restore the dreams and renewing the spirits of hurt, abandoned, and abused women around the world. From Canada to South Africa, we are committed to making a mark in the lives of these women – spiritually, emotionally and physically. Love Thy Neighbor - where we are dedicated to doing grace-based, noble work for our neighbours around the world. We are empowering change in Kenya through Total Tribal Transformation, which includes building greenhouses to provide a sustainable source of food and clean water. For our Pastors, Creflo and Taffi Dollar, global outreach has always been a high priority. 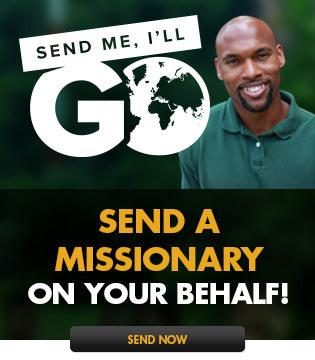 As you read through this website, we hope you are excited by our vision to reach the world through our Global Missions initiative. 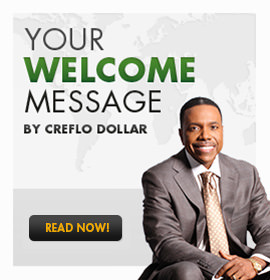 When you partner with Creflo Dollar Global Missions and sow a seed, it becomes a seed that is twice sown.